Before I tell you about me, let me tell you about your animal. Your animal is the love of your life. Your best friend. The one you go to when you feel down, and when you feel great. Your animal gets you. Doesn’t care how you dress or how you look, they love you anyway and always. I know all this because I love my animals like this too. I love helping you communicate with your animal. I love helping you understand each other better than you ever have. I’ve been working professionally since 2006, and have become the UK’s most highly regarded animal communicator. 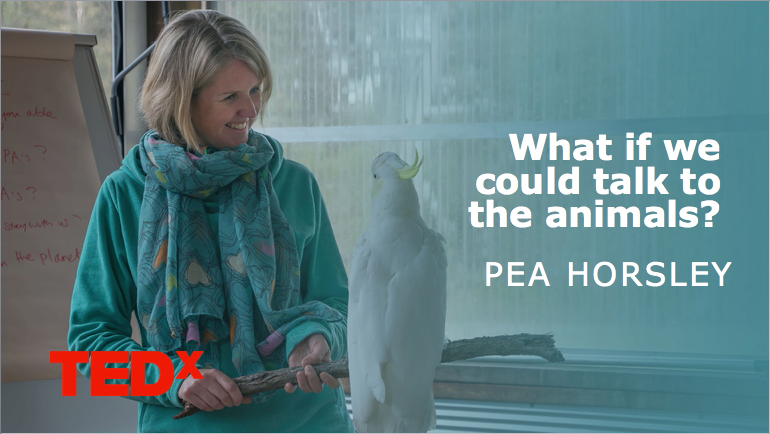 I’m an internationally renowned workshop facilitator, TEDx speaker, columnist and Hay House author of books, Heart to Heart, The Animal Communicator’s Guide Through Life, Loss and Love, and Animal Communication Made Easy. These are published in print and Kindle and available in 5 languages. I started simply as someone who couldn’t understand her dog. Back when I worked in theatre as a stage manager, I adopted my first dog, Morgan, and in the first weeks I felt he was sad. Having always lived with cats, I’d no idea why he was sad or whether I was doing something wrong. I attended an animal communication workshop because of the promise it could help me to better understand him. I was skeptical. I thought it was to learn how to read your dog’s body language. It wasn’t. I nearly walked out. But then, in the afternoon, we were paired up and a complete stranger communicated with my cat, Texas, and received correct answers that she couldn’t possibly have known. I went home feeling curious and eager to practice. I communicated with Morgan and got to the route of his sadness. He released it, and the change in him and my cat, Texas, was instant; where Texas had been scared of Morgan, he relaxed and appeared to accept that Morgan was now part of the family. Realizing I could communicate with animals was my lightbulb moment: This is why I’m here. I had already been planning on leaving theatre and going back to my first love…animals…but I had no idea what the job description was, it wasn’t something that was on my radar – until Morgan arrived and became my dog-alyst. I don’t just communicate with your animal for you; I also teach you how. My soul’s purpose is to empower the animal kingdom, helping people like you truly connect to animals and awaken to their teachings. We all have this ability in us, but we shut it down as we grow older. I reconnect you to this power, whether you want to do it for your own animal or help friends with theirs. And, many of my students and clients add this skill on to work they’re already doing with animals: Animal healers, dog walkers, animal rescue organizations, animal therapists, catteries, kennels, you name it. Being able to communicate with the animals takes any work like this to another, more effective level. Do you communicate with wild animals too? Yes, and it’s such an honour. I love communicating with all species from ants all the way through to humpback whales. I also love taking people on animal communication retreats to be in the natural habitat of species to form a deeper connection and understanding. Most recently I have taken people to be with wild dolphins, humpback whales, manta rays and turtles in Hawaii, Panama and Egypt. To learn more about the retreats jump over to Retreats. Do animals have feelings just like people? Of course, non-human animals are also sentient. We often know when they are happy or sad but they feel much more than that. Any emotion we may feel they can also experience because, like us, they are members of the animal kingdom. They can forge deep friendships, have a sense of humour and play tricks on us to make us laugh. Animals have hopes and fears, dreams and desires and they also fall in love and grieve the loss of loved ones…just like human-animals. They’re very aware of our moods and our hopes and dreams. They understand our limitations even when we may not acknowledge them ourselves. Can you actually receive words from animals? Yes, I can hear words in my mind with my own inner voice and also the tone and the rhythm of words. Sometimes this hearing ability is very clear and it’s possible to hear words like the name of your cat’s best friend. It’s often more subtle than the images we perceive from animals. I’ve had 15 years training in the art of listening when I worked as a theatre stage manager and spent a lot of my time in silence, waiting for an actor’s line or director’s instruction. Where you born with this ability? Yes, but just like everyone else. We are all born intuitive. After all, how many times has the phone rung and you just knew who was going to be on the other end of the line? I have always had a strong connection with animals but it wasn’t until I went on an animal communication workshop, like the ones I teach now, that I found this ability was within me waiting to be re-membered.